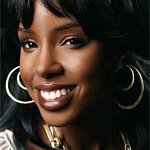 Recording Artist/Actress Kelly Rowland, TV Personality/Recording Artist Mel B, Sports Spectacular’s Executive Director Beth Moskowitz, Morgan Stanley’s Managing Director, The Urban Markets Marilyn Booker and Entrepreneur/Philanthropist Tonya Winfield will be honored at the 8th Annual Women of Excellence Awards Luncheon, it was announced by LadyLike Foundation’s President and CEO, Leah Pump. LadyLike Foundation will confer the honors on Saturday, June 4, 2016 at the Beverly Hilton Hotel from 11 a.m. – 2 p.m. Holly Robinson-Peete serves as the Luncheon’s emcee. The event is expected to raise over a quarter million dollars for the nonprofit organization whose mission is to educate, empower and inspire young girls living in underprivileged communities around the Greater Los Angeles area. Funds raised at the luncheon enable LadyLike Foundation to provide six scholarships to college bound young ladies from the inner city of Los Angeles. America’s Got Talent’s Mel B will be honored for “her Excellence in Entertainment as a Television Personality and Recording Artist as well as her honorable work as a philanthropist,” says Ms. Pump. As Executive Director of Sports Spectacular, Beth Moskowitz is the leader in the world of Sports Philanthropy. “Her rise to that position is an inspiration to all young women,” says Leah Pump. “Tonya Winfield is a true Renaissance Woman,” says Ms. Pump. “She is a dedicated mother and wife, a businesswoman and a philanthropist and an example that women can have and do it all. She climbed the corporate ladder at Xerox and has built thriving businesses. 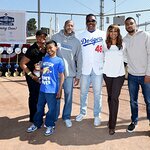 As wife of Hall Of Famer Dave Winfield, Tonya has helped many causes with her philanthropy and changed so many lives for the better,” she adds. As Managing Director of Morgan Stanley’s Urban Market Group, Marilyn Booker is at the helm of the financial institution’s arm aimed at promoting financial health to help expand the prosperity of inner city communities by providing, financial education, support for local initiatives and world-class wealth management services meant to empower individuals and families. “Marilyn’s excellence in bringing these important elements to our communities, is building a strong foundation for future generations of young women. We are so proud to honor her,” says Leah Pump. The LadyLike Foundation is a faith-based nonprofit organization whose purpose is to educate, empower and inspire young women living in underprivileged communities. Through cutting edge resource programs, workshops, mentorships and life lessons, young ladies are challenged to reach their highest potential and become the successful, well-rounded “Lady” they were created to be. The organization’s Women of Excellence Luncheon is the primary fundraiser for LadyLike Foundation.